Greater West Town Celebrates 25 Years! Congratulations to our friends at the Greater West Town Project on reaching the quarter-century of a mark. 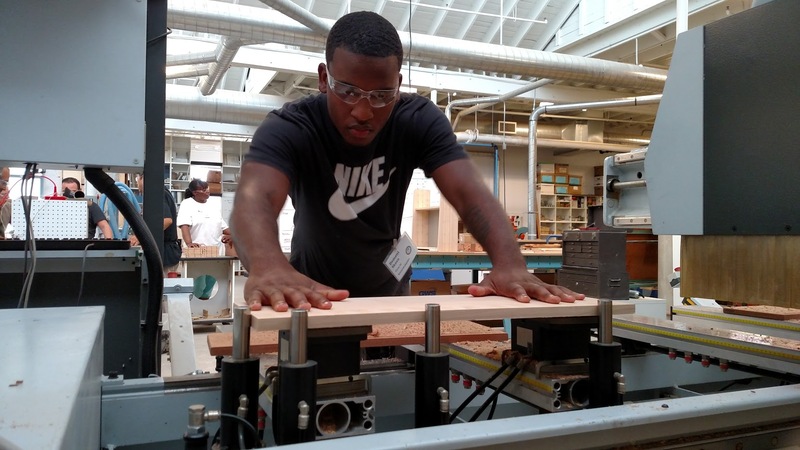 The GWTP has trained and placed 900 low-income Chicagoans in woodworking shops since it was launched in 1993. The center has moved into larger quarters and added next generation technology over the years. But the one constant during its 25-year history is Doug Rappe, program coordinator and a long-time proponent of using urban wood. Read about Doug and his award-winning program in this month’s Illinois Urban Wood Update. Dovetail Partners continues to take the lead on developing an urban wood certification program. Lucy Cohn-Still, Urban & Community Forestry Specialist of the North Carolina Forest Service, recently authored an update on the program’s progress. “The results of this collaboration would support state urban wood groups, create messaging, and be presented to various audiences and venues,” Cohn-Still writes. It’s hurricane season and we’ve already witness the death and destruction wreaked by Hurricanes Florence and Michael. While the immediate focus in a hurricane’s wake is search and rescue by first responders, there is also a need to remove storm damaged trees. This is where the Urban Forest Strike Team springs to action. Read a 2017 blog by Patty Matteson, Southern Research Station, Forest Service in Forestry, that still rings true today. Finally, the Urban Wood Network presented the fourth installment of its popular “How to Do Urban Wood” webinar series on October 25. Like the previous three segments, it will soon be archived to watch on-demand. Find a link to the webinar archives in the Update. Looking forward to receiving your urban wood news and photos!